Pigs, Antibiotics and Us: Guardian report exposes the shocking conditions of the UK's intensive pig farms, and the horrifying risk they pose to your health. Consumers like to think that animal products in shops are from traditional farms where animals live healthy, natural lives. Sadly, this is far from the truth. Corporations have got control of the food system and compete to offer the cheapest possible products to gain market share. Over 90% of animal products are from factories not farms. The results are horrendous. Intensive, industrial pig farming is cruel, barbaric and dangerous. The animals live short, stressful lives of misery. Many of them would not survive the atrocious conditions were it not for the widespread use of antibiotics that are also used to protect human health. This video exposes how MRSA is becoming resistant to antibiotics and the bacteria is now passing more frequently between species. 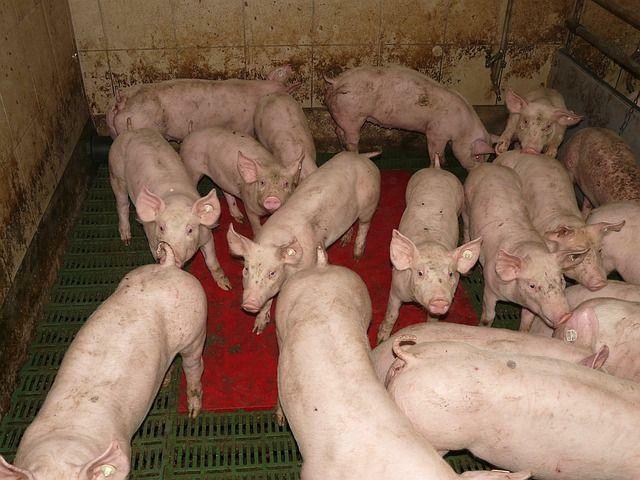 In Denmark - the world leader of industrial pig farms - 70% of the factory workers have MRSA. This is an out of control epidemic that threatens all of our health. All this is happening at a time when the UK government wants to deregulate food standards. We urgently need to take a stand to stop the widespread abuse of animals. Better conditions for the animals means less disease and less need to use antibiotics - a win win all around! If you are interested in eating less meat go here. If you want to make sure the pork you buy is from a real farm take the #pigpledge and go here.